Iceland managing director, Richard Walker. Iceland has became the first UK supermarket to install a reverse vending machine in store in support of the Government’s intention to introduce a Deposit Return Scheme in England. Iceland continues to reduce the impact of plastic packaging on the environment, and will be trialing the reverse vending machine in its Fulham, London, store initially for six months. Reverse vending machines reward individuals for recycling, by providing money or vouchers in return for empty containers. At present, the vending machine is set to accept any Iceland plastic bottles, and for each recycled it will repay customers with a 10p voucher to be used in-store. Iceland managing director, Richard Walker, commented: “We’re the first supermarket to take decisive action to bring the reverse vending machine into stores. 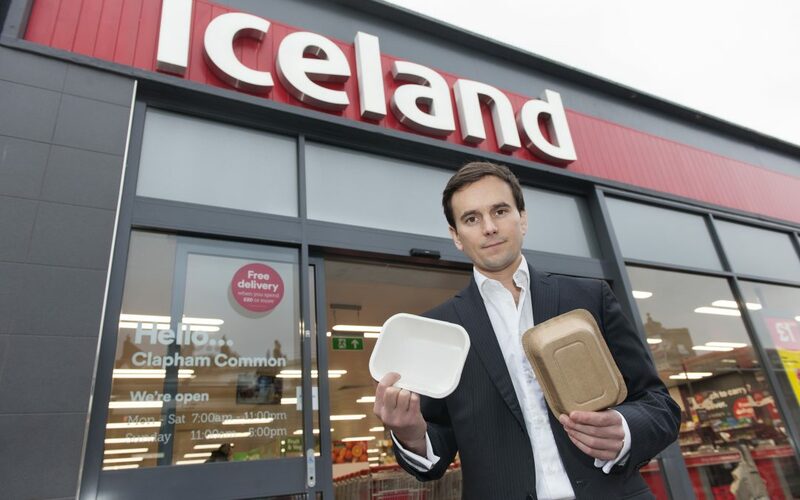 The announcement follows the pledge Iceland made in January to eliminate plastic packaging from all of its own label products by the end of 2023. “I applaud Iceland for leading the way with their trial scheme. It is absolutely vital we act now to curb the millions of plastic bottles a day that go unrecycled.